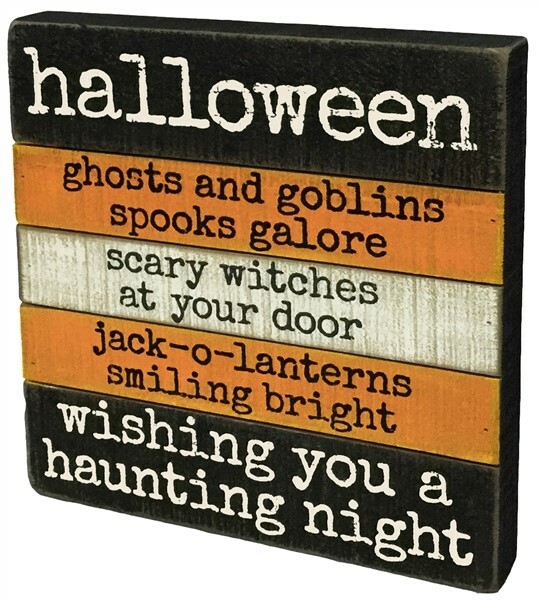 A fun and colorful way to warn visitors of the spooky fun of Halloween! This sign can be hung or set up on a shelf. It is made of wood and is a big approx 12" square. It has a fun faded lettering, a bit more than shown...looks a bit ghostly but great. Any Halloween lover will want this one!